It’s December the time for peace on earth! But, if you are experiencing constant dry throat, bloody noses, irritated vocal cords, sleepless nights; or not able to maintain warmth in your home than the peace in your home is non-existent. Therefore you are in need of a humidifier system. 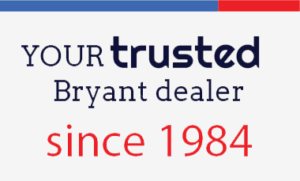 We are Climatech Air your Savannah hometown air conditioner and heating specialist and Bryant factory authorized dealer. We have a special deal going on for the Bryant Evolution Humidifier System. A Bryant Evolution Humidifier offers precision humidity control and also low sound levels. If you are experiencing any of the above symptoms, it’s time for you to give us a call. We can help decide if a humidifier system installation is right for you. We offer a free estimate and also a no credit check hassle free financing option. Continue reading below and see how you would benefit from a humidifier system. A humidifier is a device that increases the humidity in a single room, home or building. This device keeps the atmosphere moist in a room by breaking water apart by steam, ultrasonic frequency or by rotating disc flings. A humidifier connects to your air conditioner and heating units and offers total comfort and balanced health. With the proper humidity in your home or office, you can actually feel warmer and more comfortable at a lower thermostat temperature. At Climatech Air, we want to wish you peace and also prosperity and with your new humidifier system good health! We know the importance of quality products at a great value. 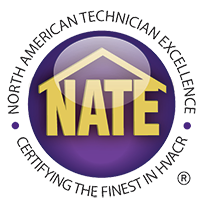 We offer the highest quality installation in the business. Our factory trained and authorized installers are professional, courteous and also determined to find the perfect humidifier system that fits your needs. With our installers you can rest assured nothing will be overlooked and you will also reap the full benefit of your investment. With your new humidifier, you can literally sleep better now knowing that your home and also your health are protected. Contact us today and schedule your humidifier installation!